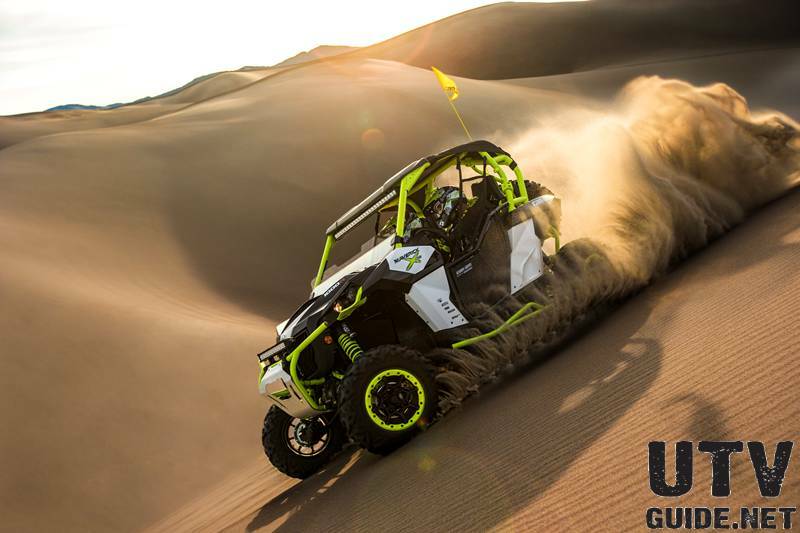 What happens when you mix fast cars, new and old friends, some of the industries best aftermarket companies, and the dunes of Glamis? 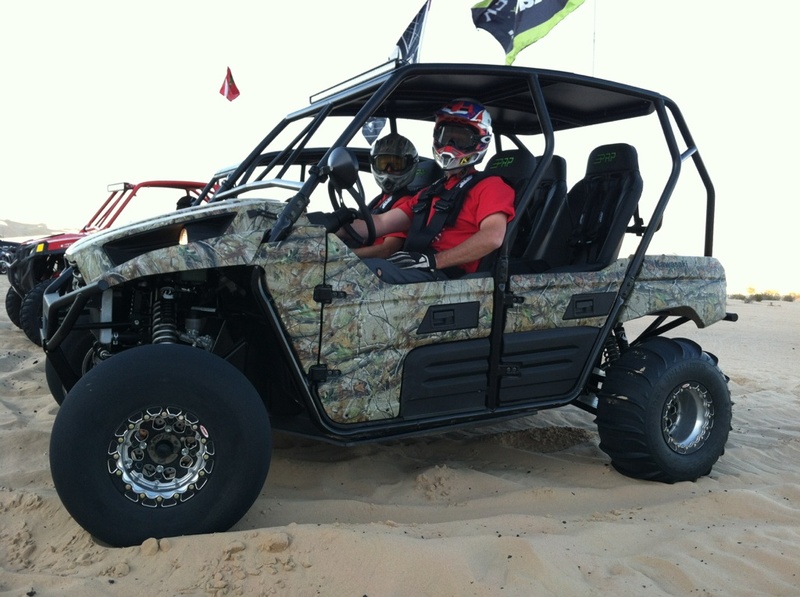 A great time in the dunes! I told several shops about it and so did Dave, but hadn't intended it to be anything more than an informal gathering. I was pretty focused on the King of the Hammers UTV Race and did not do much of any planning until the race was over. That is when I saw Fred from Pro Armor. I knew that Pro Armor was already planning to attend, but asked Fred if Pro Armor would want to join in with myself and Fullerton Sand Sports to help make this first gathering even bigger. Absolutely was his answer and things fell into place nicely in the week and a half after KOH. Dave lined up the property at Glamis Beach Store so we could all have a place to park without worrying about saving a large area, and we even setup a catered taco dinner for Saturday. Now we were talking. 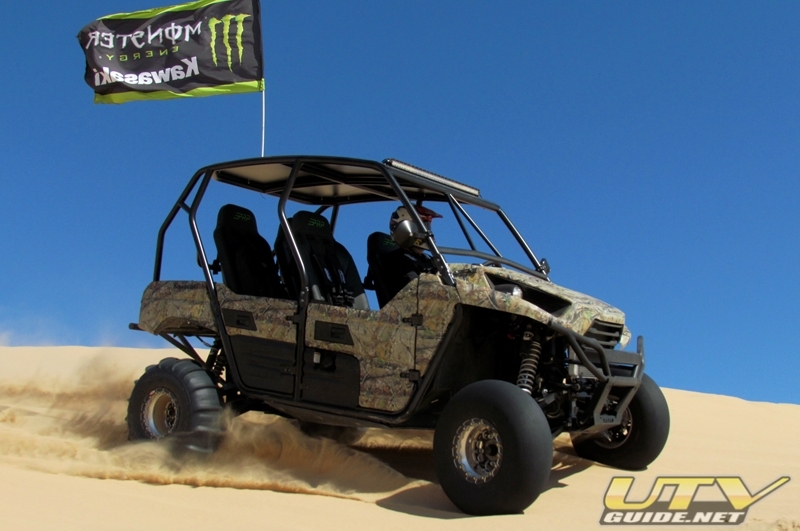 I arrived early Thursday and got the area scoped out and got my RZR XP unloaded and ready. 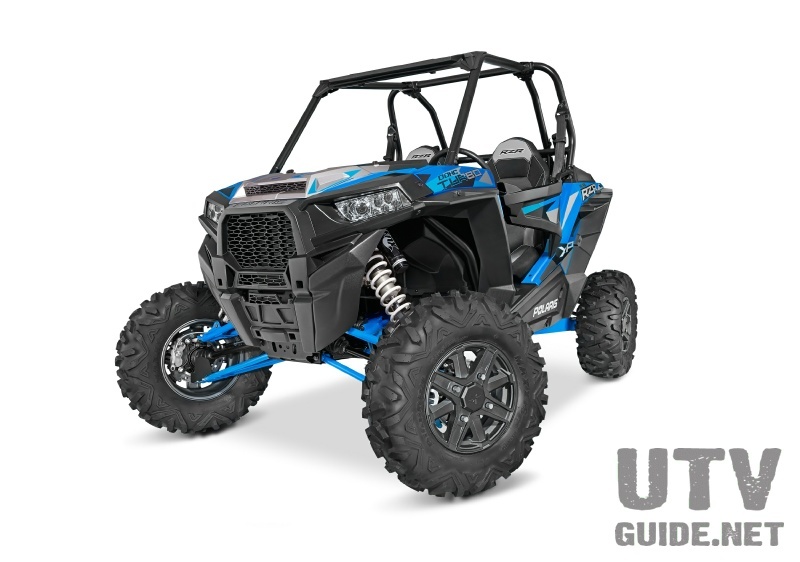 I had actually just raced it at King of the Hammers and was thinking about how versatile UTVs have become when I could race in the rocks one weekend then shred the dunes the next. Fun times to be involved in this industry! A few people rolled in on Thursday night and Friday morning. I hooked up with Dave from Fullerton Sand Sports, Troy from UTV Off-Road Magazine, Mark from Queen Racing and Rick and Dave from Placerville Polaris for some great riding on Friday morning. After a quick stop at Osborne Overlook, we headed off to a photo opportunity where Mark Queen showed up the power of his turbocharged Polaris RZR XP. Mark effortlessly stood his XP up in the air with all the power. Very cool impressive for a vehicle he put together just three days before. From there we headed to another spot with some more photo opportunities. All of the guys above have turbo RZR XPs and it was fun to watch the boost come on! Friday afternoon and evening, the different shops kept rolling into camp and I have set 9AM on Saturday as our group ride with a few stops for photo shoots. We bombed out to Oldsmobile Hill then found a spot to the east to take some photos. It was fun to watch the stream of UTV come up to us from Oldsmobile Hill. After taking a ton of photos, we headed back over to Olds and chilled for a bit. Then a bunch of us went on a fast-paced ride to Osborne Overlook. 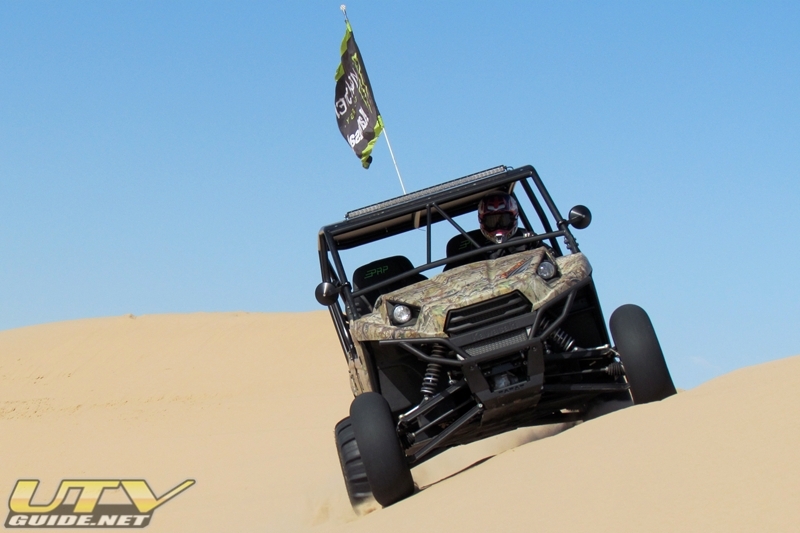 It was really great to see a big line of UTVs snaking through the dunes, and even better when we arrived at Osborne Overlook with the whole group intact! The sun was getting up in the sky and the dunes were a little washed out, so it was time to head back to camp for lunch. People were free to go out on their own after eating. 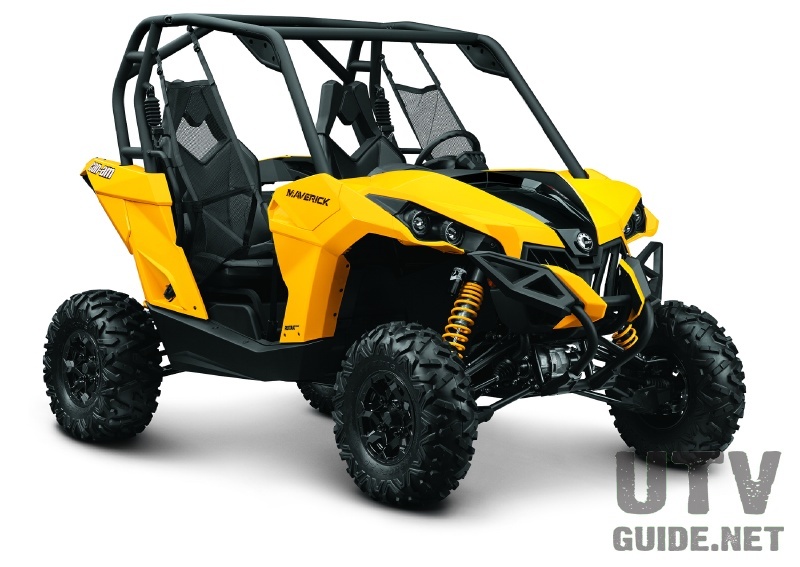 I turned my attention to my newly delivered Kawasaki Teryx4. SDR Motorsports had been installing long travel, seats, harnesses, LED light and building a cage and roof for it and they arrived with it on the trailer early Saturday morning. I swapped to my paddle tires, then had Chris from Benchmark Performance reflash the ECU to get rid of the speed-limiter. I then added a little pre-load to the shocks and it was time to try it out. The suspension was set a little soft, so I added a few clicks to the Fox Racing Shox RC2s and that helped quite a bit. The PRP seats and harnesses were very comfortable and the SDR cage looked great. We even took it out for a night ride to Olds and tried out the Rigid Industries LED light bar. The next morning, we headed back out with a small group for some more riding, photos and videos. 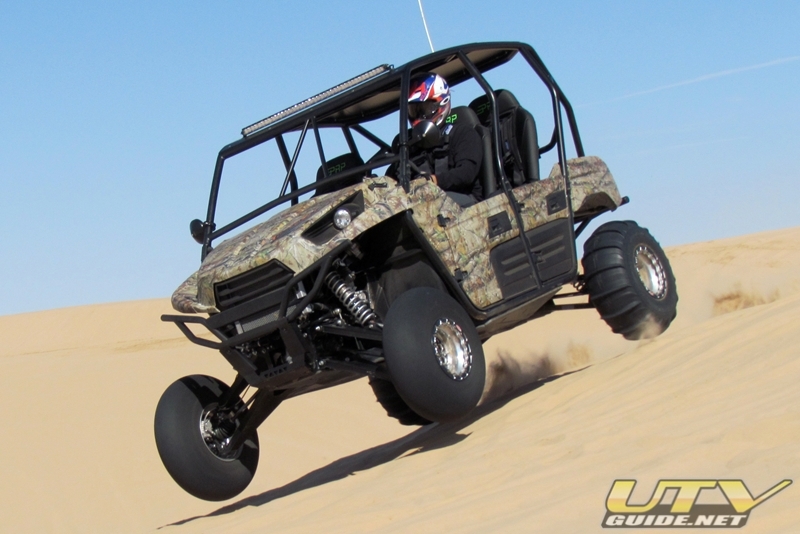 I tool my Teryx4 and Seth Farger from DWT Racing drove my RZR XP. We found a few decent spots went to work. After a bunch of shots, I jumped in my Teryx4 so we could get a few pictures. Then the four of us went on another quick-paced ride through the dunes. 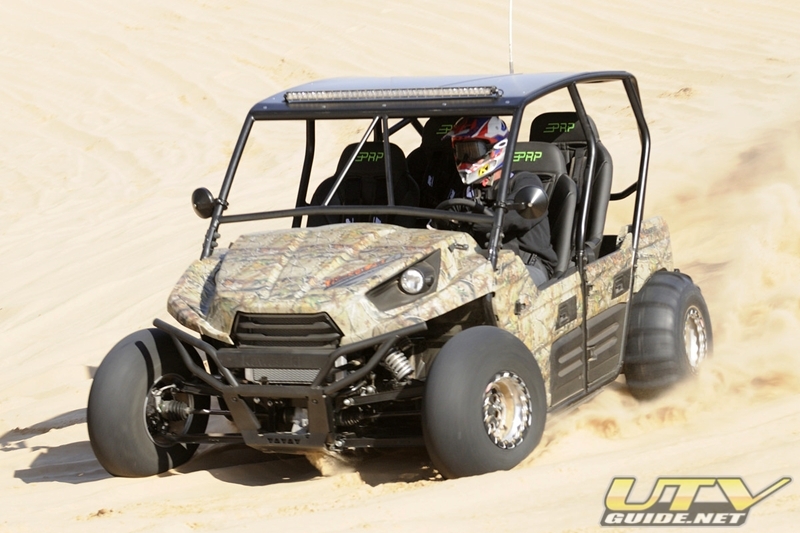 I was pretty surprised at how well I did in my Teryx4 following a XP, XP4 and a turbo XP. Other than one steep hill that did not have much of a run, I mobbed through the dunes without slowing down the pace of the guys up front. The HCR Racing long travel, Summers Brothers axles and Fox shocks worked great. They need a little more fine tuning, but I was very happy with the setup for the first trip out. The quality of the parts and the installation by SDR Motorsports made this a very pleasurable experience. Once back at camp, it was time to pack up and head for home. The weekend was a whirlwind of fast rides and great photo ops! Good to mix it up with other industry people and see their cool new products in action. Big thanks to Fullerton Sand Sports and Pro Armor for helping to make this concept a reality. Copyright © 2010 Crowley Offroad LLC. All rights reserved. sold or reproduced in whole or in part without express written permission.